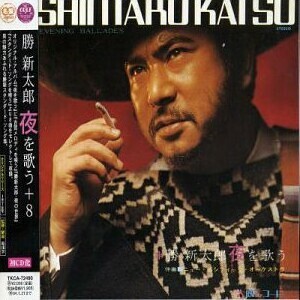 Mellow Monk's Green Tea Blog: Zatoichi sings "Sunny"
Here he is, the late, great Katsu Shintaro, singing the jazz standard "Sunny." This is from his album "Yoru Wo Utau" (Singing the Night). Katsu gained superstardom in Japan in the 1960s playing the blind traveling gambler and masseur "Zatochi" in the long-running movie series of the same name. For an actor, Katsu was a pretty decent singer, and it stands to reason: As the son of a famous Kabuki actor, he was trained in classical Japanese acting and singing in his early youth. Also on this track, check out the funky jazz guitar, the jamming piano, and the melodious background singing. The cover of Katsu's album "Yoru wo Utau." Katsu Shintaro as Zatoichi in "Zatoichi 3: New Tale of Zatoichi."